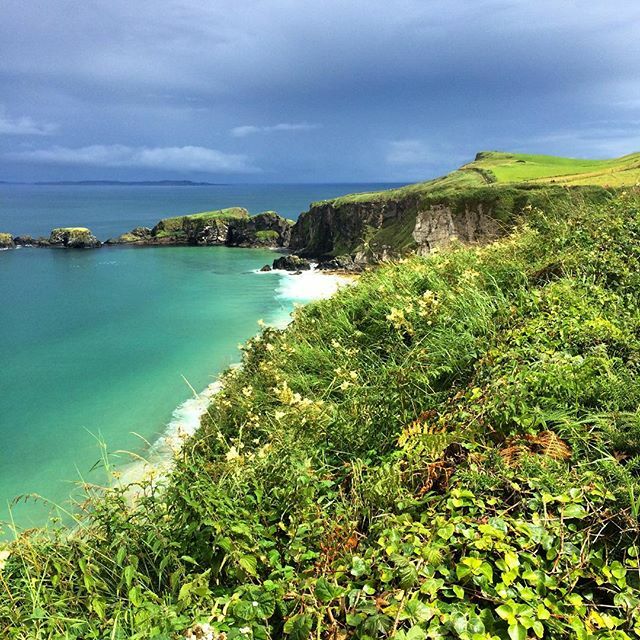 Explore Ireland and Northern Ireland on a week long tour filled with music, monuments and mystical locations! Filled to the brim with must-see attractions & hidden gems, Ireland will surpass your wildest expectations. Visit Dublin and experience the magical mix of heritage and contemporary culture. 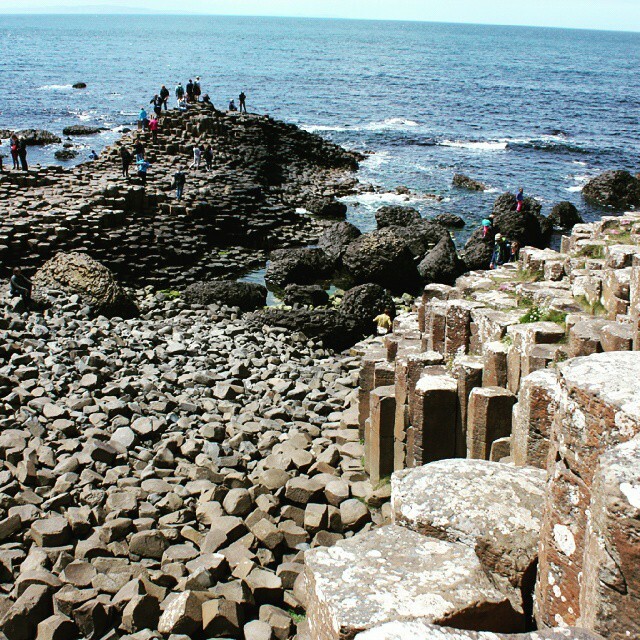 Step foot on the Giant's Causeway and learn about its hair-raising legends and myths. 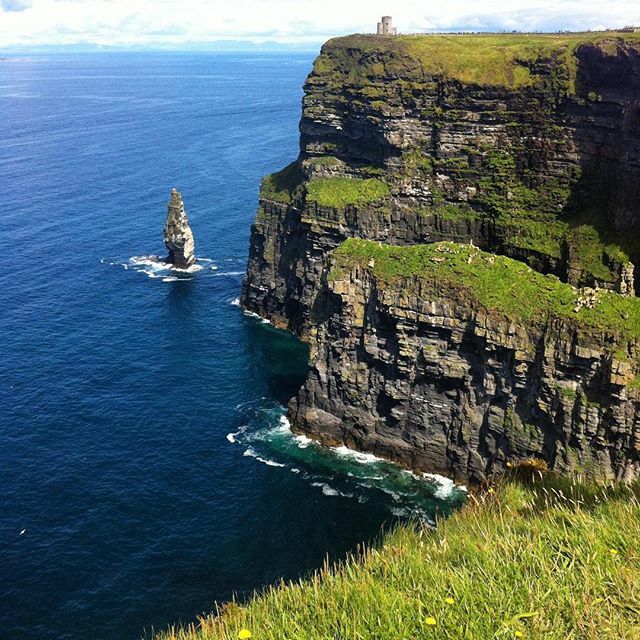 Eat Ireland's finest oysters on the bay of Galway and stop by the famous towering cliffs of Moher. Drive around the Ring of Kerry for the most phenomenal views. Welcome to the Emerald Isle! Unhurried nature, rich history and the friendliest of locals await. 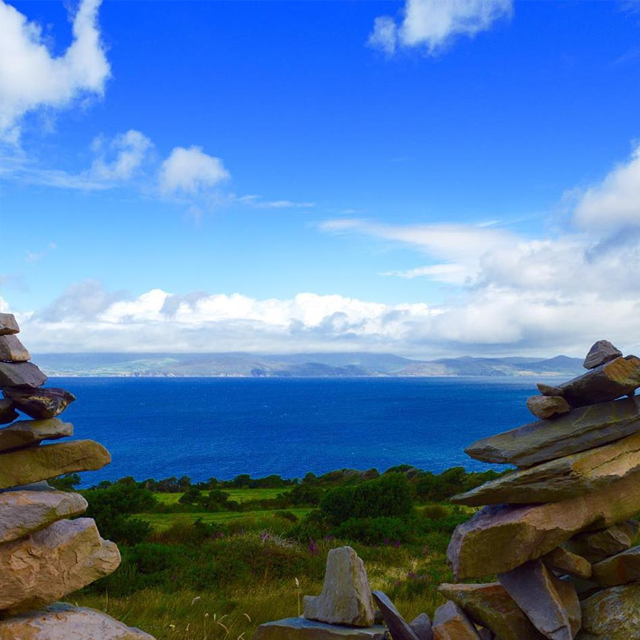 a visit to the natural wonders of Giant's Causeway in Ireland and Cliffs of Moher in England, setting eyes on the spectacular sights of the Ring of Kerry and many more! Céad míle fáilte! (Or, should we say, a hundred thousand welcomes!) 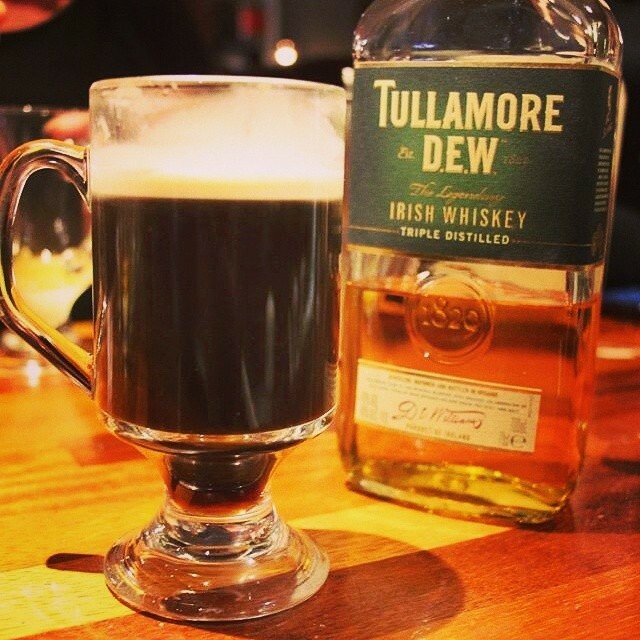 Welcome to Ireland and the start of your tour! 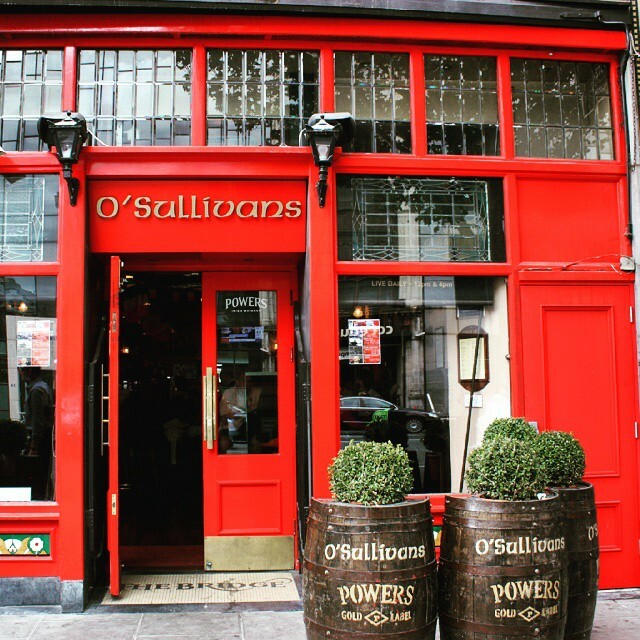 Depending on when you arrive and settle in, you may have some time to see a bit of the city and find a local pub to sample a pint of Ireland's national drink, Guinness! 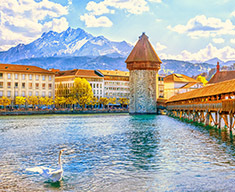 Meet up with your tour leader and fellow travellers, do a spot of sightseeing or just relax – your time is yours. Big enough to keep one amused, but small enough to cover in a relatively short time, Dublin boasts an extraordinary history, rich heritage and a touch of indulgence. Enjoy! 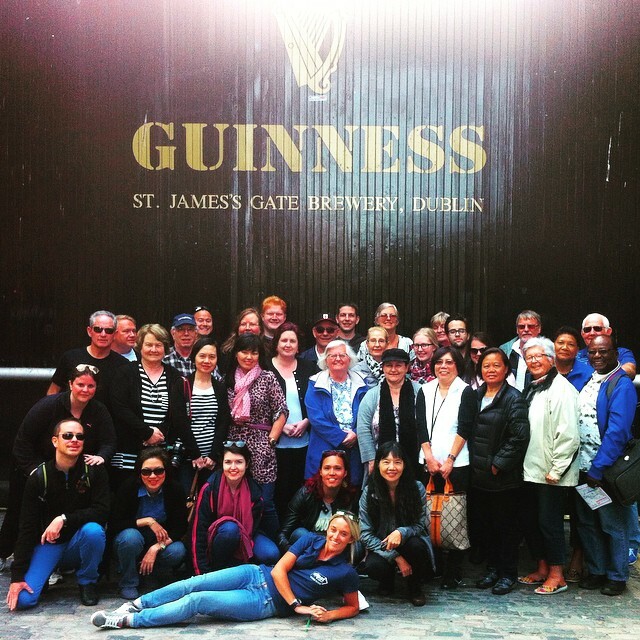 Tonight at the welcome dinner you’ll have a proper chance to meet your fellow travellers and your Expat Explore tour leader, who will give you more information on the exciting days to come on this incredible tour of Ireland. After arriving in Dublin, make your own way to the start hotel. If you have some spare time, why not take a walk around the city centre? Dublin is a relatively compact city, so you can easily explore the history and culture on foot! Today, we set off from Dublin on our first day of travel. Your tour leader will give you an introduction to the history of Ireland, and, as we’re headed into Northern Ireland it’s particularly important to learn about topics like the Rising, the Civil War and the Fight for Independence, along with The Troubles. Although peaceful now, this is an important part of Ireland’s history, particularly the north. We’ll stop first in the famous city of Belfast, where we’ll take a combined driving and walking tour. 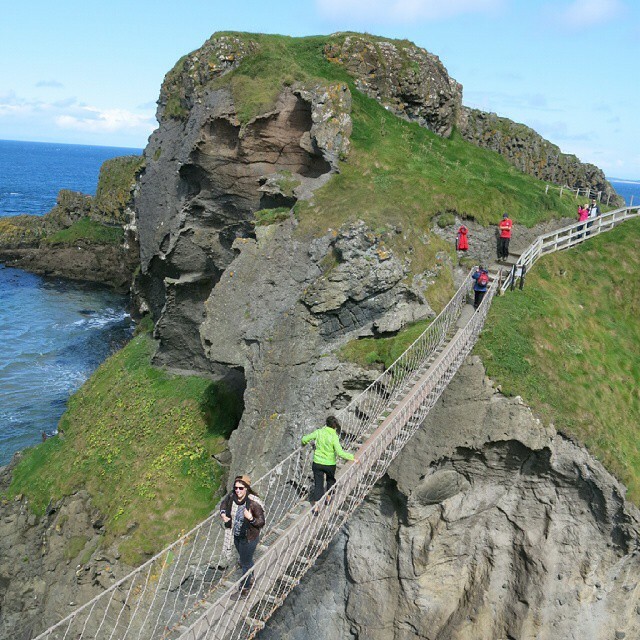 We then head to Carrick-A-Rede Rope Bridge for a photo stop, and also visit the famous Giant’s Causeway - legend has it that the causeway was built by an Irish giant named Finn McCool, so that he could challenge his Scottish rival Benandonner to a battle. Our last stop for the day is the riverside city of Derry, where we spend the night. Your tour leader will introduce you to some of Belfast's highlights on a combined driving and walking tour, including Shankill Road and the Falls Road. These roads are associated with the loyalist and republican communities respectively, and are separated by peace walls. Photo stop at Carrick-a-Rede Rope Bridge, which links the mainland with the tiny island of Carrickarede. Spanning 20 meters, the bridge is suspended 30 meters above the rocks below. Enjoy the spectacular Cliffside views! Heading out from Derry, we make our way to Galway, joining up with the famous Wild Atlantic Way - the longest coastal drive in the world, and probably the most scenic! We’ll make a comfort stop, and then will arrive in Galway in the early afternoon. Enjoy some free time in this arty, bohemian city that boasts a vibrant ambience, thanks to its large student population. With students making up a quarter of the population, you’ll find plenty of bars and cafes, some of which will feature live music. Check out the remnants of the medieval town walls, or take a stroll down the promenade to Salthill, on Galway Bay, source of the area’s delicious well-known oysters. Free time in Galway! Enjoy the bohemian vibe of this lively town, where you’ll find plenty of bars and cafes. Look out for live music! Alternatively, find the remnants of the medieval city walls or walk down the promenade to Salthill on Galway Bay. First up today, we have one of the highlights of the tour – the world-famous Cliffs of Moher. Here, we’ll have the chance to capture a few spectacular photos of this natural wonder, which rises over 200 meters above the churning sea. We then make our way to Bunratty Castle and Folk Park. The present version of Bunratty Castle was erected in the early 1400s, though several constructions preceded it, dating back to the 10th Century. Adjoining the castle is Folk Park, a reconstructed traditional Irish village complete with cottages, weavers, pie-makers, a forge and a working blacksmith. We'll then take a photostop in Limerick, with its fascinating castle, traditional pubs, art museum and a thriving café culture. Before the last leg of the tour to our hotel in Killarney today, we stop off in Adare for photos, and you’ll marvel at what’s often called ‘Ireland’s prettiest village.’ Catch a glimpse of the perfectly-preserved thatch cottages, which today are home to craft shops and restaurants. 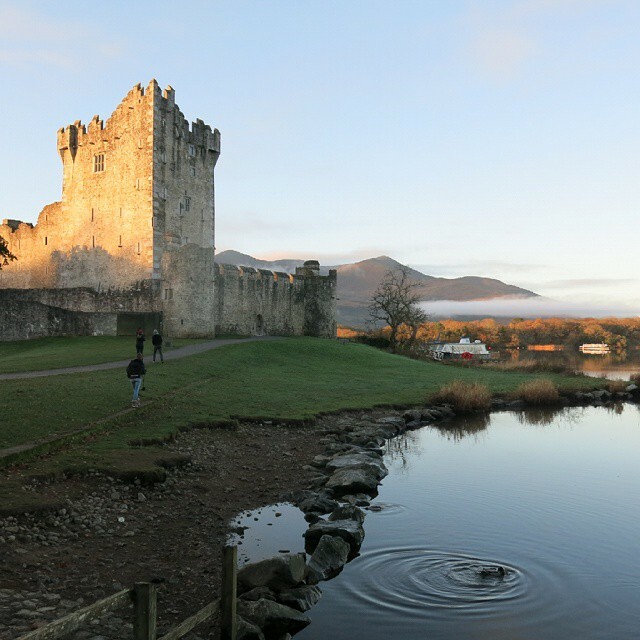 We arrive in Killarney, where you can reflect on the day over dinner with your fellow explorers. Bunratty Castle: a beautiful 15th Century tower house in County Clare, Bunratty Castle is a piece of Irish history, with the original structure on this site dating back to the 10th Century. Folk Park adjoins the castle, and here you’ll get a peek at a traditional reconstructed Irish village, complete with cottages, weavers, pie-makers, a forge and a working blacksmith. Adare: ideal for a photo stop, this place is often called ‘Ireland’s prettiest village’ and features perfectly preserved thatch cottages, craft shops and restaurants. Keep your camera fully charged and at the ready – it’s going to be a day of stunning scenery! The famous Ring of Kerry is our stamping ground today, home to breath-taking coastal views, emerald-green pastures and charming villages, where we’ll make comfort stops. An incredible day of sightseeing awaits as we drive one of Ireland’s most scenic roads. Take in breath-taking coastal views, emerald-green pastures and charming villages. Journeying back to Dublin and leaving the Wild Atlantic Way, we stop at Blarney Castle, where you’ll have the chance to kiss the famous Blarney Stone and gain the ‘gift of the gab’. We’ll also stop in Kilkenny, a picturesque medieval town. Your tour leader will take you on an orientation tour of the historic centre, known as the 'Medieval Mile'; narrow streets and old buildings sandwiched between a castle and cathedral. 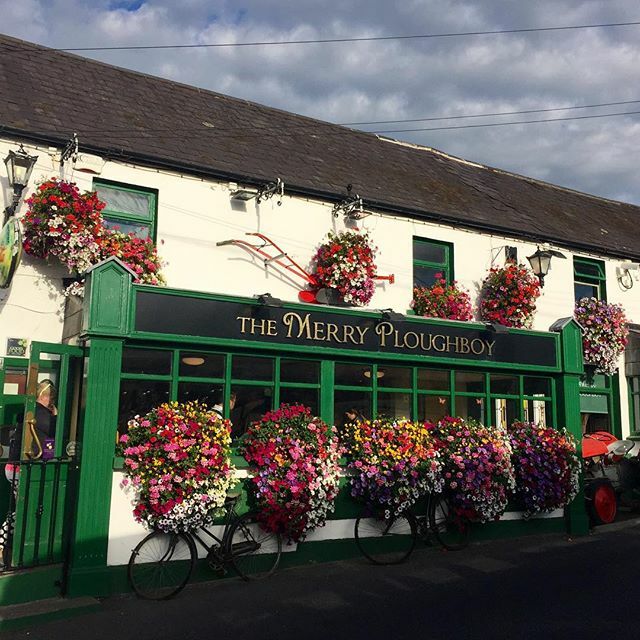 Arriving back in Dublin, celebrate the last night of your tour with an optional Irish music evening, including dinner and a show at the Merry Ploughboy Irish Music Pub, winner of the “Best Music Pub” in Ireland. Located in the Irish countryside, this is an authentic experience, held in a pub run by traditional musicians who specialise in all aspects of Irish music and dance. Orientation tour of Kilkenny with your Expat Explore tour leader, followed by some free time to explore the beautiful medieval heart of this historic city. Top sights include St Canice's Cathedral and Kilkenny Castle, Rose Garden, and Park. After breakfast, we say our goodbyes, as the tour concludes. We hope you’ve enjoyed the scenery, the culture, the sights and the history of this incredible part of the world. 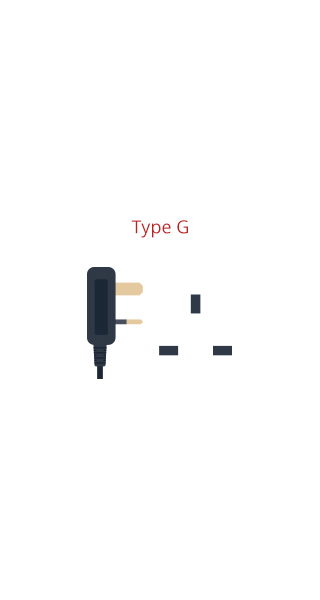 Don’t forget to share your details with your fellow travellers. Farewell, Ireland! If you are staying on in Dublin today, why not visit some of the top attractions, for example the Guinness Storehouse, Kilmainham Gaol, Book of Kells and the The National Gallery of Ireland. Discover the Titanic from before she was built, all the way through construction, fitting-out, the launch, the maiden voyage, the sinking, the aftermath all the way up to where she lies today! Titanic Belfast extends over nine interactive galleries, with multiple dimensions to the exhibition, drawing together special effects, dark rides, full-scale reconstructions and innovative interactive features. Explore the shipyard, travel to the depths of the ocean and uncover the true legend of Titanic, in the city where it all began. This dramatic exhibition combines costumes, authentic props and majestic sets from all seven seasons to create an interactive and immersive Game of Thrones experience that is a must-see for all fans of the show. Please Note: This exhibition is available for tours visiting Belfast between 11 April 2019 and 1 September 2019. Your tour starts and finishes in Dublin. Please have a look at our Essential Tour Information page for detailed information.